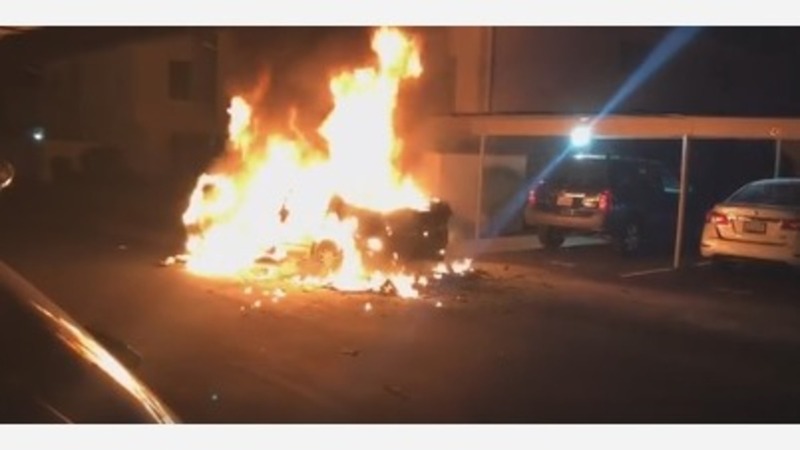 FRESNO, Calif. (KFSN) -- The Madera Police Department found out their fire extinguishers can't keep up with a fully engulfed car fire. In a video the Department posted to Facebook, you can see how quickly this fire took over the whole car. The owner of the vehicle told Police he had been experiencing electrical problems. Later in the post, the Madera Police Department reminded people to keep safe by properly maintaining your vehicles.